Often when posting on planning and development in Canberra, someone will comment that things were so much better when the Commonwealth, through the National Capital Development Commission (NCDC) ran the joint. Canberra was well managed under the NCDC. True. Are planning and development matters better or worse today under an ACT Government? I suspect that if Canberra had continued to be run by the NCDC that things may be worse today than they are under our own elected government. There have been very few government planning agencies that have been able to resist what has become the new normal in the last couple of decades – being the overwhelming and ever-present lobbying efforts of the property industries. Why would a Commonwealth agency such as a 21st century NCDC be any different – especially given the very neoliberal and conservative nature of the present Federal Government. Think on this – what would Barnaby be able to do to Canberra if he had direct control of every aspect of its governance? I fully acknowledge that the NCDC (and the former versions – there were several) was right for its time for Canberra’s development. Some great aspects of our urban environments reflect this. 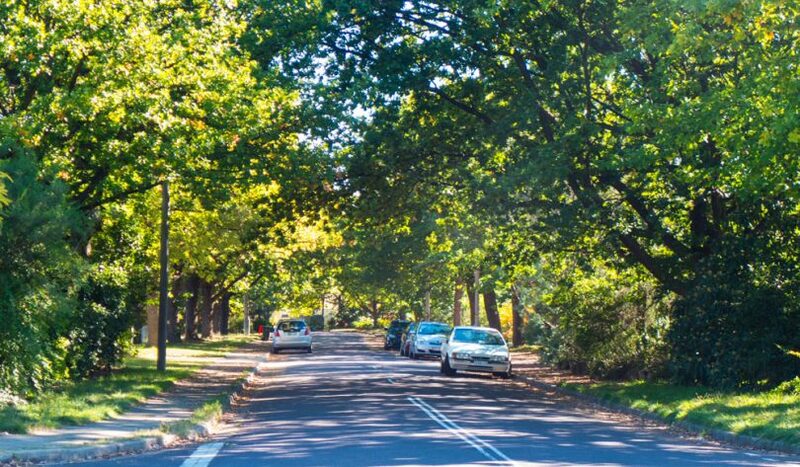 Canberra’s urban forests are a direct result – and are now under threat. However I can think of a host of things that are not so good. This year we are going to hear the rumble of the first light rail/ tram. In some of the original planning for this city there was to be network of trams – an integrated public transport system. This did not happen because of decisions by the Commonwealth. Sadly the NCDC was influenced by Big Oil. Instead they opted for cars and bigger roads – as did most cities at the time as a result of pressure from the oil and vehicle industries. Canberra – along with many cities – is still to recover from those ill informed decisions. In Sydney it saw the demise of a fantastic tram network – that they are now struggling to reintroduce. An outstanding omission by the NCDC planners was to plan for local arts facilities. Many of those we see today, the Tuggeranong Arts Centre, the Street Theatre, Megalo, ANCA studios and more came into existence directly because of later advocacy by the arts and local communities. It seemed that the NCDC was OK on trees, roads and other urban matters – but the value of the local arts was completely foreign to its planners. Another curiosity was the types of trees that were included in suburban development. In many of the older inner suburbs there are now very large non-native trees along the suburban streets. Where they got this right, these trees meet up over the roadway and create cooler climate zones – especially on these super-hot days. Later planners went for less street trees and often chose natives, particularly gums. I have observed that in many instances these are under stress, do not provide a lot of shade when it is needed in summer and of course they are famous for suddenly dropping a large branch or two. I love our native plants – but that does not mean they are suitable for every location in an urban area – and not as it turns out for many streets. The more shade the better. The NCDC was also responsible in the earlier years for development – and the building of government housing. I do not think we could say that the designs chosen have lasted well. Anyone today taking on a government-designed house knows that it requires a complete refit to become suitable for the extremes of climate in the Canberra Region. There are many stories of people struggling in those early Commonwealth-designed homes trying endlessly (and not winning) to keep either the heat out in summer – or in winter attempting to get any part of the house warm. It was near impossible to heat a whole house successfully. Unfortunately, while I do not join in the lauding the ‘golden age’ of the NCDC, the present planning and development agencies leave a lot to be desired and have disappointed and upset many residents. 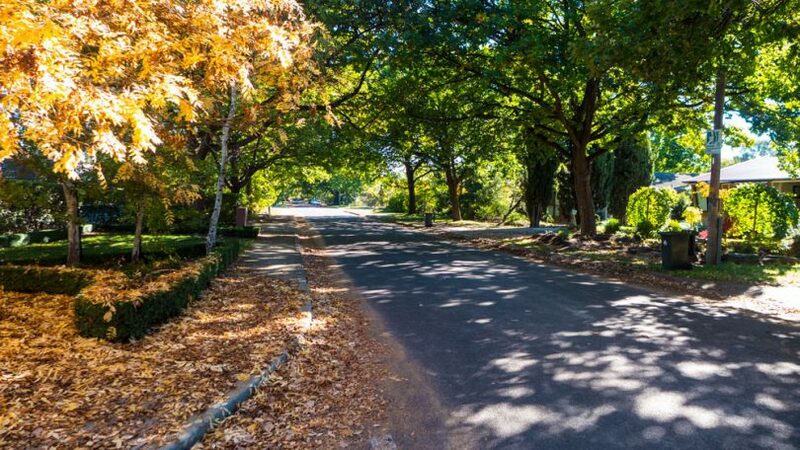 Recent evidence is clear that the ACT Government has a long way to go to being a steward of the urban environment and overseeing planning agencies that are not seen to be overwhelmingly influenced by the property industry – rather than be responsive to the residents. Much praise to all the good things delivered by the Commonwealth in Canberra – through the NCDC and agencies before them. But please keep the praise in context – and be real. And yes the grass was greener then. But do we need so much green grass? Now that’s another whole story.